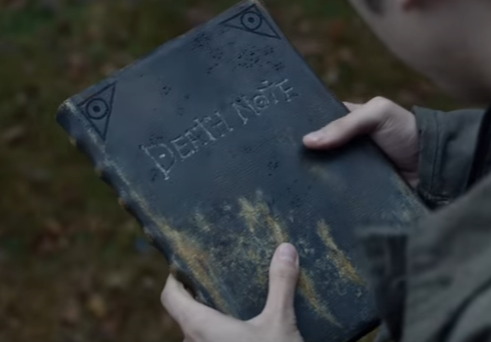 Netflix has just put out a new trailer for the 2017 Death Note film on its Youtube channel. If you watched Adult Swim at all around 2007, you probably saw an episode of this Japanese TV show about a high school genius who finds a notebook that lets him end the life of anyone who's name is written within. Someone working at Netflix did and decided that it would make a really cool movie. so here we are. This is not the first live action movie based on the series, Japan had four of them since the show's premiere, but it is the first time one is coming to Western audiences. As a result, the cast has been Americanized much like the upcoming Ghost in the Shell movie. You probably won't recognize most of the cast, but you may be happy to know that Willem Dafoe is going to be playing the role of the shinigami (or death god) Ryuk. We haven't seen him in action yet, but you can get a brief preview of his voice in the trailer below. As for the film itself, it looks like that will debut on August 25, 2017 on Netflix. What do you guys think? Eager to see the movie? Going to pass? Tell us what you think!